Entrepreneurship is all the rage right now, and it’s not hard to see why. INFJs are particularly drawn to entrepreneurship because it allows them to use their creativity, long-range thinking, and independent working style. INFJ entrepreneurs have a knack for connecting with people, seeing their needs, and forecasting an idea or product that will be relevant not just now, but in the future. They want to do something that will benefit people in a big way. Their entrepreneurial dreams often have a human element and are tied in some way to making the world a better place. Introverted Intuition gives the INFJ a skill for long-range thinking and creating original, visionary approaches. Using their unique set of strengths, INFJs are excellent at plotting out a strategic way to reach their goals and make them a reality. They take their time to create a business plan and look at many different perspectives and angles. They don’t rush the process, but take their time to make sure they’re on the right track. They are major perfectionists, so if anything, INFJs can take a little too long in the planning stage before jumping into action. When it comes to networking and connecting with people, INFJs are skilled at establishing rapport and imbuing confidence in their brand. As introverts they will definitely need their alone time, but with practice they are usually extremely capable at marketing themselves, their idea, and establishing strong connections. They are highly attuned to the deeper emotional needs and desires of others and this ability gives them a leg up when it comes to writing effectively, marketing persuasively, and deeply connecting with their clients or consumers. As leaders and employers, INFJs are determined to hear out the various perspectives of their team. They are usually very empathetic and considerate, taking the personal needs of everyone into account when they make decisions. Check out my newest ebook, The INFJ – Understanding the Mystic! – Don’t forget the facts and details – As an INFJ you are usually focused on the big picture. This is definitely a strength in the business world, but forgetting the nitty-gritty details and the practical problems and facts can also cause some major disasters. Schedule time out of your day to check off the details that you tend to dislike or avoid. – Stay objective in your decisions. As a feeling type, it’s a lot more natural for you to make decisions based on the needs of other people. However, in the business world critical thinking and tough decisions are part of the game. You might have to fire someone who’s not performing well, or you might have to raise prices on a product and doing so might make it harder for some customers to afford it. When things get tough in this regard try to have a support person you can talk to, whether it’s a friend or family member. This way you can get the encouragement, a balanced perspective, and the strength you need to keep going. – Don’t procrastinate too much. As a type with a dominant perceiving function (introverted iNtuition), it’s very comfortable to get stuck in analysis/perspective-shifting mode. Try to set measurable, attainable goals and meet them daily. Every 10-minute segment can push you towards greater progress. You need your alone time to think and imagine, but you also need to act to get all those ideas out of your brain and do something with them! – Don’t get discouraged when you face rejection or failure! As an entrepreneur there will inevitably be times where an idea flops or someone gets upset with you. Whether it’s an unhappy customer, a friend who doesn’t believe in your dream, or even a family member who wants you to conform to a more traditional path in life. Try to separate yourself from the criticism and remember that everyone fails or faces rejection at some point. All the greatest entrepreneurs have had moments of failure. Remember that you’re not alone! Do you have any tips for INFJ entrepreneurs? Be sure to leave them in the comments! Want to know more about the INFJ life, careers, and more? 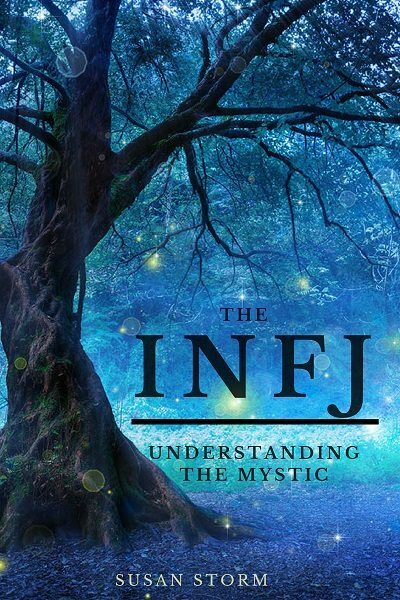 Check out The INFJ – Understanding the Mystic. As a dominant introverted intuitive paired with extraverted feeling, I can relate to your article. Visit me at https://www.linkedin.com/in/gilbert-sanford-infj/ for more info. As a INFJ, coach and entrepreneur I totally agree with it! And we’re the mystical ones? You just blew my mind. Spot on true. Especially the one of a kind ideas. Much easier to appeal to big corporations than trying to convince someone in the field for 50 years that your going to do it backwards and get same or sometimes better results. Usually better results if they’re not trying to have you committed to a padded room. Thank you so much! Higlhy appreciate your post! Thank you so much Susan! I am in the process of a job change after 12 years of marketing for the same company. You have somehow described me to a T in this article. As I am getting older I have more confidence to what I feel and how to relay my vision to others. Your article has helped affirm me of so many things. In my transition, I am looking to become my own boss for the first time. I know my strengths Ni as well as my weaknesses. My biggest issues are Goal planning and self discipline to execute. While I can see the path I struggle to get it all out in a manner to return to tomorrow with the same energy and vision. I want so badly to set the Awl in the log and return tomorrow to continue to hammer away… Do you have any advise for someone who needs a Single FOCUS and to consistently take one step at a time?